One of our long term clients – the amazing venue One Great George Street (OGGS) asked us recently to bring a new flavour to their catering brochure design. We were able to work with a noted food photographer which really enabled a image-led approach to the project where the food looks truly fresh and appetising. Combining the great food imagery with a typographic style that has a timeless classic Modern feel ensures that both the style and content of the catering provision are included in the storytelling. The resulting understated design provides a gastro-bistro feel. 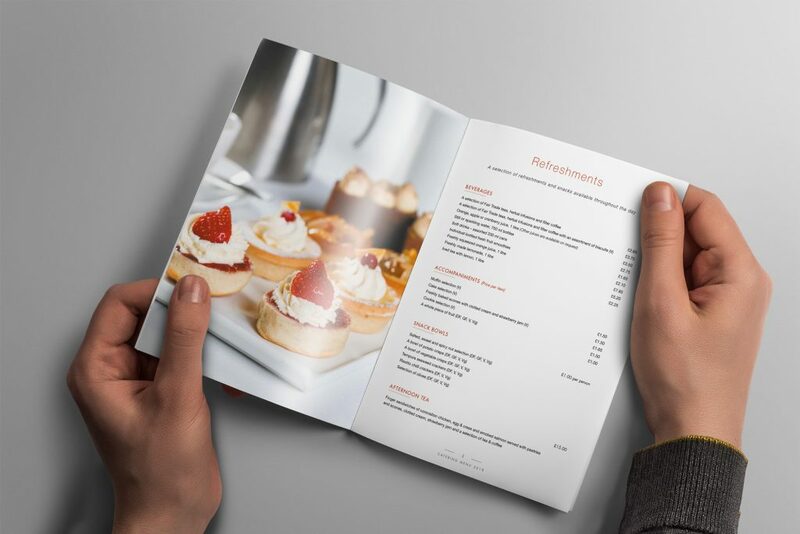 The cover of the catering brochure design is printed on a special textured uncoated stock and the text on natural white coated paper. We are an integrated agency where many of our campaigns include a range of channels including print, digital advertising, branding work for our clients. We have a number of key market areas including: business aviation, venues & destinations and Energy/Renewables. 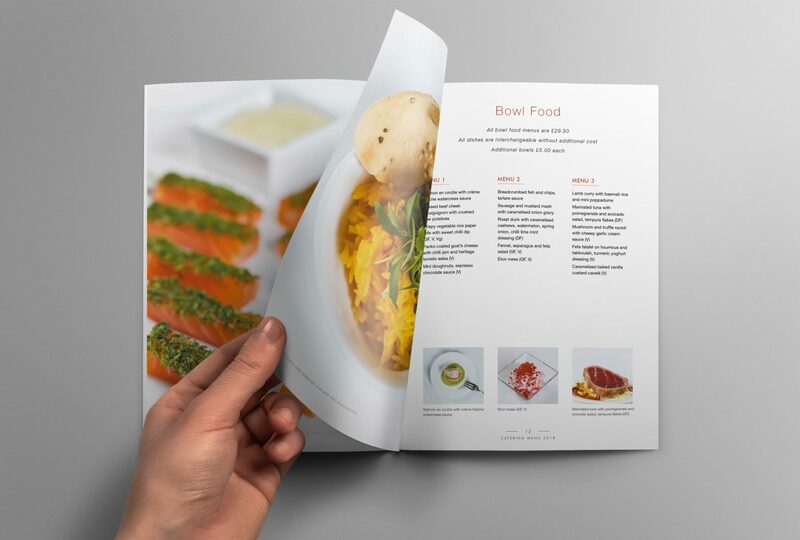 Brochure design retains a place in the integrated marketing mix as the page turning’ narrative and physical touch of a printed document still provide an opportunity for an engaging and emotive brand touchpoint. To review our award winning work for venues and destinations please download our venue marketing portfolio.